So, here I am sitting in a little guesthouse in Malawi (run by a very eccentric French man), five days into a three week trip, wondering how on earth this has become part of my job. I don’t believe this is the traditional career path of the majority of people who do a maths and stats degree, but here I am, running my own little pilot study during which I’ve been training health workers in Chikwawa district, southern Malawi on a new method of collecting data. People who know me are probably aware that I seem to be constantly in and out of the country at the moment, but I thought I’d use this blog post just to say a little bit more about what I’m doing, and why I’m doing it. 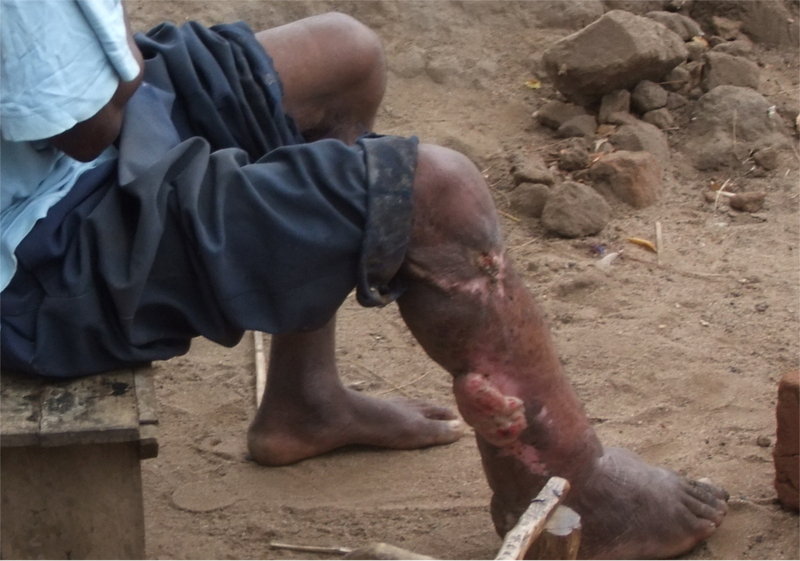 My work at the moment is focused on a disease called lymphatic filariasis (LF). Before I started my job in Liverpool School of Tropical Medicine, I knew nothing about this disease, and I suspect the majority of people who take the time to read this will be in the same position. The reason why it slips under most people’s radar isn’t that it’s a rare disease – quite the opposite. Noone can be certain of how many people are infected, but the World Health Organization’s current estimate 120 million people are infected. The reason why it’s so unknown is that it isn’t a disease that kills people. However, whilst the mortality rate is low, the number of people who suffer because of the disease is high.The symptoms of LF can be incredibly debilitating. Lymphoedema (tissue swelling), predominantly in the legs can seriously affect a person’s ability to move around, and subsequently, a person’s ability to earn money. Hydrocele (scrotal swelling), also affect a man’s ability to move around, plus they also have to deal with the stigma associated with it. On top of that, those with lymphoedema experience acute attacks, during which they experience additional swelling, fever and pain to the point where they are unable to even stand. 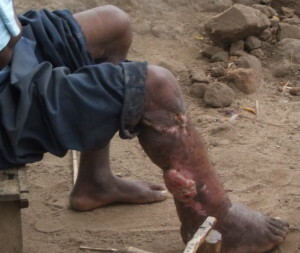 Yet still, outside of the affected communities, the disease is often unheard of. And, as is often the case, it is generally the poorest populations that are most affected by the disease. LF is transmitted by mosquitoes, and affects rural populations in large parts of Africa, Asia and South America. Due to a plethora of reasons, getting your hands on accurate information on how many people are actually affected, how badly they are affected, and where the affected people live is really tricky. As we know, in the UK we’re having issues relating to putting together a central health database. Well, consider trying to do this in areas where electricity and clean water are a luxury, medical records are all kept in book and folders located in areas that during certain times in the year are impossible to reach, and the health service is ridiculously overstretched trying to tackle diseases such as malari, HIV and TB. There are no landlines, there’s no broadband, people mainly get around by foot or by bicycle. It’s a very different world to the one I usually live in. However, what they do have are mobile phones. Mobile phone coverage (including 3G networks) is rapidly improving, and mobile phone ownership is increasing in developing countries such as Malawi. Those living in rural areas may not be using the fanciest of handsets, but their phones are a lifeline and result in geographically remote areas being far more ‘accessible’. Many industries are realising the potential of this, including the public health industry, and little burst of mobile health (mHealth) activities have started to pop up all over the world. So, I decided to join in. My pilot study here in Malawi is testing out whether it’s possible to put together an accurate list of all the people with LF conditions in a short amount of time, with the information being gathered by health workers, and being submitted to the database using their mobile phones. I’ve enlisted the help of the wonderful people at Tripod Software, who have sorted out the techy side of things, and I’m working with the Ministry of Health in Malawi to sort the rest. Training of the health workers is now complete, so now I’m just waiting for the information to start rolling in. Exciting times! So, as I said, I’m not sure quite how I ended up doing what I’m doing, but I feel pretty lucky that this is where my unconventional career path has taken me. Who knows what I’ll end up doing next!